Persatuan Literasi Anak Malaysia (MYReaders) | At MYReaders, our mission is to provide all poor & underprivileged school children with the most basic childhood right: A Right To Read. Helmed by a dedicated group of Teach for Malaysia alumni - MYReaders champions reading as the ideal pathway for children to break learning barriers, cultivate positive values & promote life-long learning. 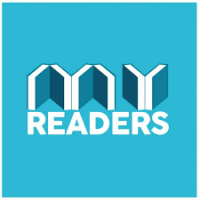 The MYReaders team has an accumulative 11 years English teaching experience across public schools located in the heart of underserved communities. With quality education at the core - our literacy programme empowers children to rapidly scale from zero English proficiency to commendable reading fluency in 24 weeks compared to a normal average of 2 years. To effectively yield this profound impact – MYReaders encapsulates a comprehensive spectrum of preliminary data gathering & analysis, guided teacher and student mentors training, three tier diagnostics, phonics ingrained module delivery, evaluation & reporting mechanics, post support sessions plus stakeholder recognition & award event.